Quality replacement lawn mower blades for Walk behind mowers, garden tractors, riding mowers and zero turn mowers. 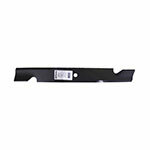 Edger blades and replacement hedge trimmer blades by OEM part number and brand. Blade accessories including adapters, blade bolts, spacers and washers.